Frank Obama Music @frankobamamusic present his artist T-LEnee G" with a song "ADANMA REMIX" Feat. 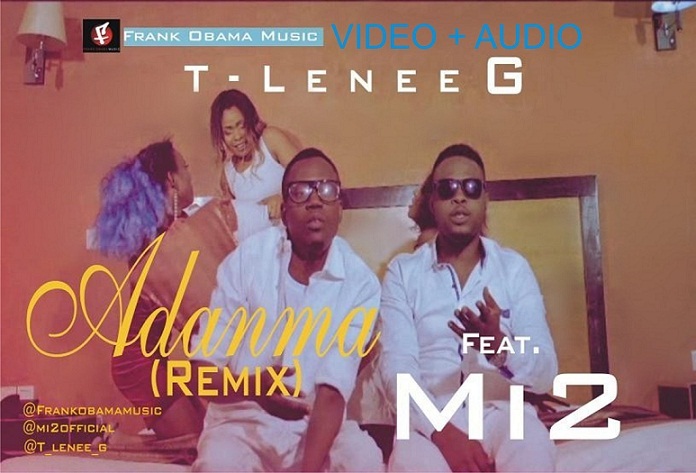 "Mi2" man of the hit tracks "Short Aboki and De Same Girl" a very nice song you can't resist to dance to, Watch Video+Audio: T-LEnee @t_lenee_g G X Mi2 @mimi_ogar - ADANMA REMIX . Listen up and enjoy.